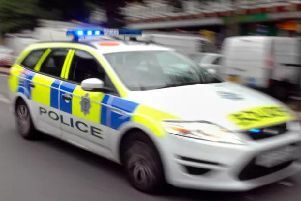 A young motorcyclist died after a crash involving three vehicles on Warmington Hill north of Banbury last night (Thursday, August 31). Emergency services were called to B4100 Banbury Road outside Warmington after reports of an accident involving a motorcycle, a van and a car at around 6.50pm. West Midlands Ambulance Service and Warwickshire and Northamptonshire Air Ambulance were both sent to the scene along with police. An ambulance service spokesman said one patient was in cardiac arrest but they could not be saved despite their best efforts, and was confirmed as deceased at the scene. Warwickshire Police said the next of kin for the man, who was in his 20s, have been informed and are being supported by specially trained officers. The road was closed as a result of the collision but was reopened later in the evening. Anyone who witnessed the collision or may have any information in relation to it is asked to contact Warwickshire Police on 101, referencing incident 343 of August 31.